If you own a house with a basement, it’s advisable to make sure the lower room is fully waterproof before converting it into a useable space. There are many waterproofing solutions should you spot a damp patch or a leak. Any type of dampness can totally spoil carpets, furnishings and of course decoration. Have a surveyor come round to check walls and flooring out before you decide to convert this very useful space. Even small crawl in basements, which are ideal for storing items you don’t use daily, can suffer from dampness. This in turn may ruin flooring, create dangerous mould and of course damage your belongings. Don’t let this happen to you, do something about the problem immediately. Householders can usually fix problems in their basements themselves if they are good at do-it-yourself. However if the cause of dampness, condensation or seepage is too great, make contact with professional waterproof solutions companies. You can find specialists near you by clicking on the internet. When properties with basements are built, foundations are usually not as perfect as they should be. Moisture can seep through even the slightest of cracks and cause great damage over a length of time. There are many water proofing solutions available which will give you peace of mind that your basement is totally waterproof and impermeable. A yearly visit by a reputable waterproofing company is a good idea so specialists can check drains, sewers and drainpipes too for any blockages. Falling leaves often block drains causing water to build up and then enter your basement. It’s always better to be safe rather than sorry. If you’ve recently moved to a home that has a basement or your present home has this useful space, make sure it’s fully waterproofed. This will protect the foundations of the property along with keeping contents safe and dry. A basement is a very useful room for storage or it can be made into an extra bedroom. What isn’t useful or pleasant is the smell of dampness. 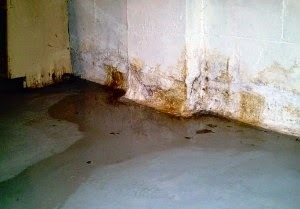 With so many water proofing solutions around, it’s highly recommended to keep your basement as a dry, livable space. It will also add value to your home.